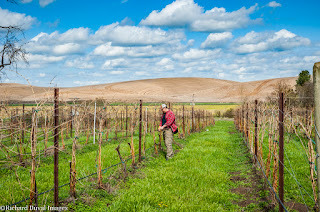 With spring comes an increase in vineyard work, as vines are being shaped for the growing season. Such activity sends contributing photographer Richard Duval on the road to capture the hard work that goes into each bottle. The 2018 growing season has officially begun, with Tertulia Cellars vineyard manager Ryan Driver reporting bud break in Syrah at Elevation Vineyard in Walla Walla Valley. 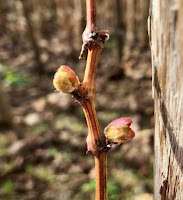 Consistently the larger Columbia Valley's earliest site in recent years, bud break took place at Elevation on April 12th last year and April 1st in 2016. Here's to a great 2018 growing season!